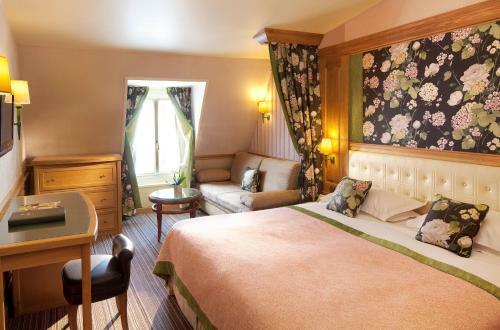 Situated opposite Saint-Germain-des-Prés Church Hotel Madison is located in the heart of Paris’ Latin Quarter. It offers modern accommodation and an elegantly decorated bar. 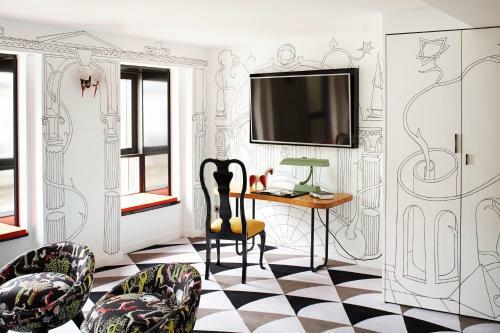 The ensuite guestrooms at Hotel Madison are decorated in a contemporary style. Modern facilities include satellite TV a minibar and free Wi-Fi access. Every morning a continental breakfast is served in the authentic breakfast lounge. In the evenings guests can relax with a drink at the stylish bar. Choose from a selection of wines teas and fruit juices. 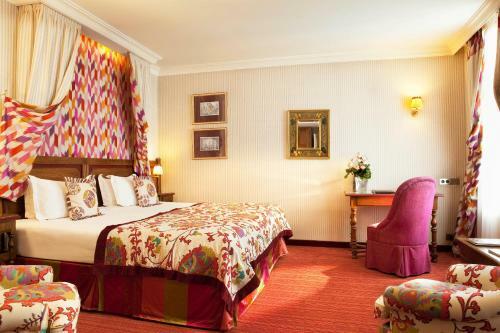 Hotel Madison’s location makes it easy to access the principal tourist sights of Paris including the Louvre and Orsay museums and Notre Dame Cathedral.